Tuition is $250 for individuals ($350 couples) including materials (textbook and workbook). All workshops include hands-on practice, brief instructor presentations, workbook exercises, demonstrations, small group discussion and at-home application. 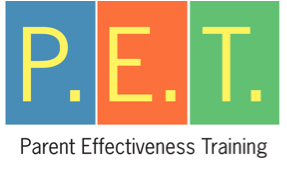 Reserve your spot for Parent Effectiveness Training or Be Your Best! This is the course tuition for individuals. This does NOT include the $45 initial deposit. This is the tuition fee for couples. This does NOT include the $45 initial deposit.